First off, The Choice is not as bad of a movie as you might have heard from friends or seen ratings of online. In fact, I’d even go so far as to recommend it to certain moviegoing demographics. There’s enough to like that you can swallow the sour. What can’t be argued is that the film doesn’t cover any new ground. 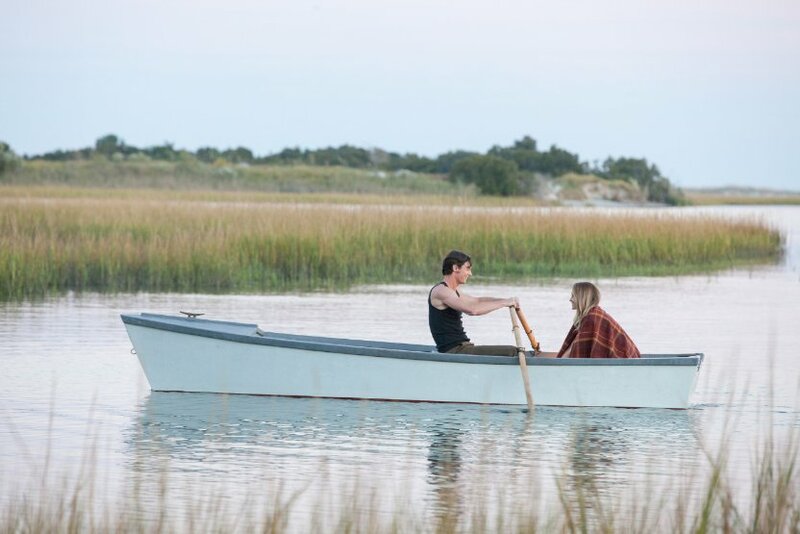 It’s maddeningly difficult to review a Nicholas Sparks adaptation and bring anything fresh to the words on the page. That’s because they’re all the exact same story – a plug and play option – that Sparks has found works justtt enough to keep churning out his bread and butter. I could sit through The Choice again. Quite easily too. But that doesn’t mean the metrics are met. Coastal Carolina sets the stage for this love affair. 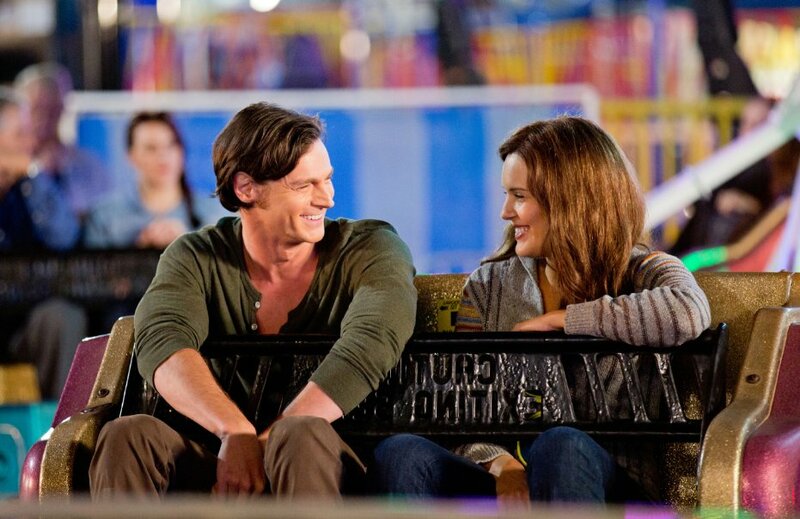 Smooth talkin’ and beer chuggin’ Travis (Benjamin Walker) works as a Veterinarian by day and a charmer come nightfall. He gets the ladies, often and openly, with a laid back and carefree personality influenced by his unburdened lifestyle. Travis makes every effort to maintain this smokescreen. 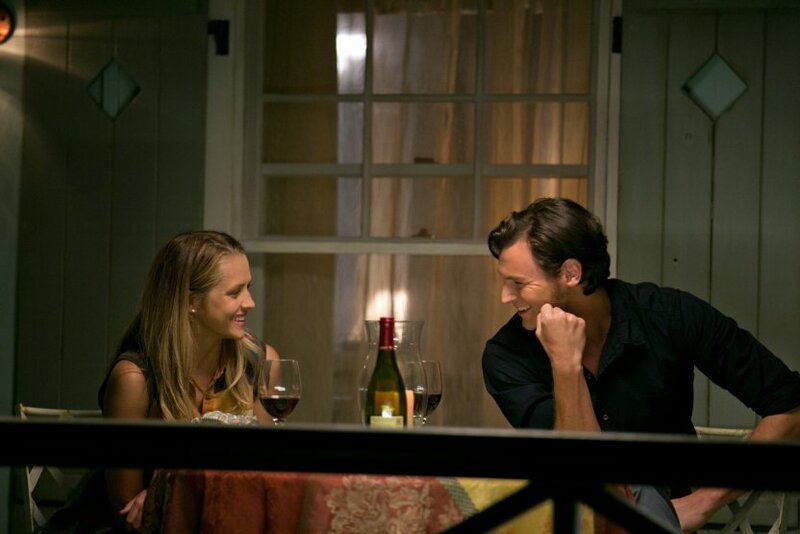 But then medical student Gabby (Teresa Palmer) moves in next door, easily seeing right through the pretenses and the play. Their first meeting is awkward and withering. Yet we know how this story goes, and somehow The Choice still manages to be engaging and romantic in only the way movies are. We don’t get a reason for them to come together. But much like Travis, surprised to finally have his advances shutdown by a beautiful woman, the middle portion becomes a pursuit of potential interest. It’s hard to ignore how much story happens here that doesn’t really go anywhere. Gabby’s fling with a married doctor. Travis’ old high school flame coming around. His father (Tom Wilkinson), also a Vet at the clinic, finally getting back into the dating circle. The subplots are always less than and not equal to the centerpiece of the film. The Choice, as you’d imagine a relationship of this nature to be, is flawed to a fault. Like a straight-laced suitor pining for the polar opposite that’s rough around the edges. Things just go wrong. And with such a disinterested performance from Palmer the development of the plot only becomes more stifled. Thanks to Benjamin Walker though, The Choice allures even if it doesn’t capture. Walker plays Travis as more than just the neighborhood’s most eligible bachelor. The movie might not be great, but it’s one of the more appealing roles to come from a Sparks story in a while. So like I said, the rating that I give The Choice doesn’t matter all that much. It’s a structural formality if anything. The beginning might be strangely off and the end undeserved after a questionable seven-year leap into the future. For those mistakes we have a satisfying middle that takes the cake, and although Sparks’ story utilizes the same events, the characters – here most notably Travis – spin it in their own way. A ride in a rowboat. A night at the carnival. The torrential downpour. You couldn’t pick the film out of a police lineup if you tried. Still, The Choice is like a dependable first date outfit. You know it well and how it looks from all angles. There’s a comfort to that kind of consistency. If only it weren’t so wrinkled, and in this case, overhashed. LOVE this movie. cant wait to see it again. the ending was very unreal but it was very entertaining.